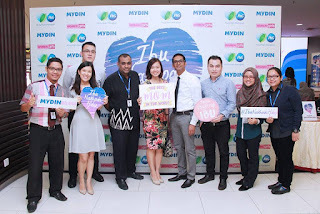 Procter & Gamble (P&G) Malaysia, Mydin Mohamed Holdings Bhd and Pertubuhan Pembangunan Kendiri Wanita dan Gadis (WOMEN:girls) today launched the second season of the Ibu Nakhoda Hidup 2016 programme with a series of roadshows starting from Mydin Mall in USJ Subang Jaya. The roadshows will then make its way to Kelantan, Terengganu, Johor and Penang from 15th April to 15th May. 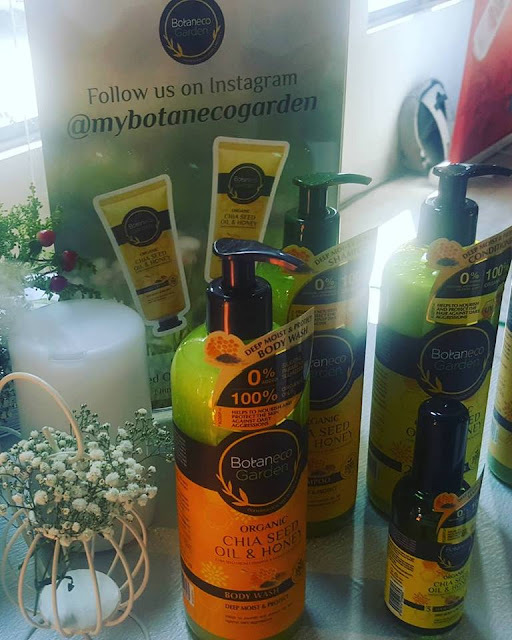 The Ibu Nakhoda Hidup programme was introduced in 2015 under P&G Malaysia and MYDIN’s Hulurkan Harapan Fund to support mothers who are aspiring entrepreneurs who envision expanding their businesses to a larger market. 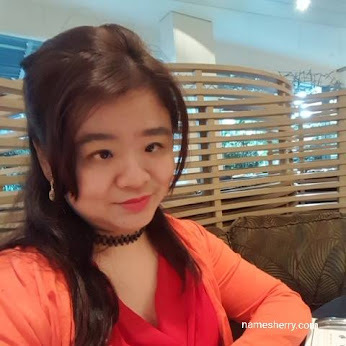 The search for Ibu Nakhoda Hidup 2016 has reached out to community spaces around the Klang Valley such as Flat Sri Tioman in Taman Melati, Setapak; Pangsapuri Vista Angkasa in Kampung Kerinchi and PPR Seri Pantai in Pantai Dalam. 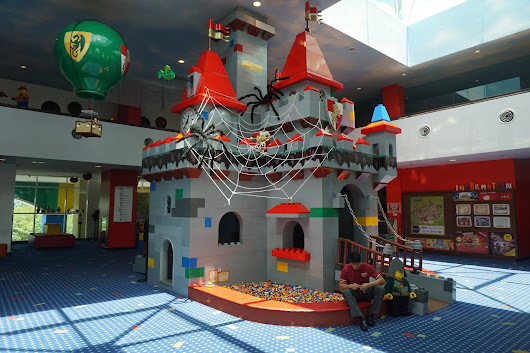 The on-ground outreach sessions focused on engaging in discussions on obstacles, ways, opportunities and potential relating to the participant businesses. This year’s Ibu Nakhoda Hidup submission is open from 15th April until 30th of June 2016. The Ibu Nakhoda Hidup programme was launched in May 2015 under the P&G and MYDIN’s Hulurkan Harapan Fund. The Hulurkan Harapan Fund was created in 2013 to help support initiatives championed by P&G. For the first two years, funds raised under the Hulurkan Harapan Fund have contributed towards helping children with special needs. In 2015, the Fund focused on supporting mothers who are entrepreneurs in scaling and expanding their businesses. Support given through the Hulurkan Harapan Fund have helped them in terms of providing them with machinery, equipment and business deals to promote their brands to a larger market. Five Ibu Nakhoda Hidup were chosen in 2015 – Ibsatulhaily Ibrahim, Farah Izyan, Ratna Adnan, Tengku Norhaslinda and Roziah Asman. 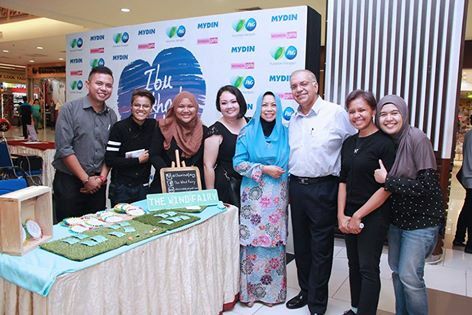 Miss Teoh Gaik May, as well as three of the Ibu Nakhoda Hidup 2015 alumni (Farah Izyan Jamel Nasir, Ratna Tini Adnan and Tengku Norhaslinda Tengku Mamat) and fellow entrepreneurs. 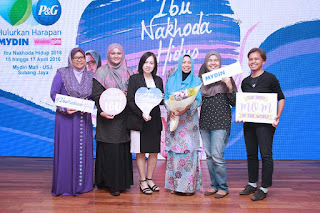 The Ibu Nakhoda Hidup 2015 alumni members, sat together with WOMEN:girls president, Ms. Low Ngai Yuen, and shared stories of their journeys at the event. The #IbuNakhodaHidup campaign was also launched in conjunction with Mother’s Day and the public are encouraged to upload a picture of their mothers and share the stories about how their mothers are the navigators of their lives on Instagram to grab the chance to win ten limited edition Ibu Nakhoda Hidup washing machines. Contest starts on the 15th of April and ends on the 15th of May 2016. All information in Ibu Nakhoda Hidup entries and contest submissions will be available via social media by following @MydinMalaysia and @WOMENgirls on Instagram.